As what has been for many years considered the greatest of William Shakespeare's plays, more critical ink has been spilled discussing Hamlet than blood is spilled during a full production of the tragedy. With the advent of the Internet, the global community of scholars, students, and casual admirers has had the greatest opportunity yet in history to share ideas and opinions about the Bard and his play. However, just because an article or essay is on the Internet does not mean it is credible; many sites are poorly written and maintained. This review will discuss the best and worst pages that I managed to locate in my search for Hamlet on the Internet. These pages are essentially lists of historical paintings and prints of which scenes from Hamlet are the subjects. 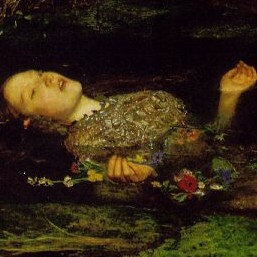 It is extremely interesting that the great bulk of Hamlet-related art since Shakespeare's time has been focused on Ophelia. She seems to have captured the imaginations of artists more than nearly any other literary figure. While primarily written in English, this site also contains some Russian sections, including a Russian translation of Hamlet. It has a section devoted to criticisms of Hamlet, as well as reviews of a few film and stage productions. While it looks much neater and more professional than many of the Hamlet pages and covers a more diverse range of topics, it still lacks content. 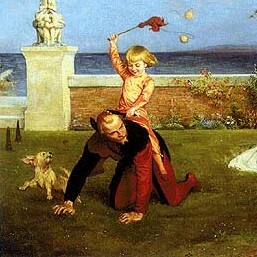 Hamlet: The Undiscovered Country by Steve Roth. An exploration of William Shakespeare's Hamlet, Prince of Denmark. This site, while having little actual html content, does have an entire book (120 pages in length) available for free download as an Adobe file. The man who wrote it, Steve Roth, has a masters in "Book Publishing," so I am uncertain about the scholarly merit of the book. However, it claims to address the issues of Hamlet's age and the biographical details of Shakespeare's life that are found in the play, which might make for an interesting read. I personally would prefer to read a work with more accreditation than this work has. This page is one of many on a site dedicated to the complete works of Shakespeare. It contains basic information such as a cast list and plot summary for free, but like many Shakespeare sites then requires a fee of $5.95 that is valid for the next ninety days to access the rest of the site, which contains character analyses, critical discussions, and essays. Being both by a credible author and on a credible site, this page gets very high marks for research. In typical Eliot fashion, he rips apart Hamlet and chastises Shakespeare. I would recommend printing this to read, as it gets tedious on a computer monitor. Laughably bad. An extended synopsis of each Act is available, but they are so poorly written that Shakespeare would probably not only turn over in his grave but also fling his skull at the offensive author of this site. An example of the prose: "However, he does want Claud and Gert to see a little play. We know what's coming don't we." This site is excellent for researching any film. It contains information on dates, production, actors, relation to other films, links to other sites, pictures, plot summaries, and quotes. It lists 79 movie titles containing "Hamlet" in them somewhere. This site is an excellent repository of works that are not violating any copyright law by being posted on the Internet. It contains four versions of Hamlet, as well as several versions of most of Shakespeare's other plays. Rivendell writes as if he were actually producing Hamlet, complete with celebrity cast. While I don't agree with several points of his production (especially his casting), this page does offer interesting background. If I were acting in Hamlet, I would feel fortunate to be given these production notes. By far the most thorough page, this one includes a chronological list of Shakespeare's plays (Twelfth Night and Hamlet were released in the same season (1600-1601)), much information on Shakespeare himself, and a discussion of the major themes. If I were writing a thorough paper exploring the themes and history of Hamlet, this would be my first electronic resource. This site was probably the most amusing. It is a makeshift parallel text, with links explaining archaic phrases and references to other Shakespearean plays, and amusing altered photos ("My tights were riding up?"). It is probably the most useful for a student having difficulties plowing through the Elizabethan English. Also useful was the "Body Count" section, which conveniently lists and briefly describes the deaths of the major characters. These eleven pages are only a few examples of Hamlet on the Internet. 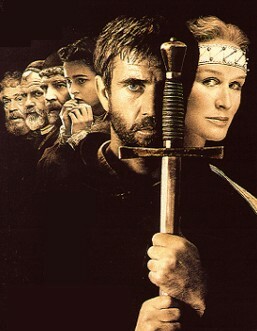 Entering "Hamlet" into the Google search engine yields more than 500,000 results. While a few intelligent and credible sources on Hamlet and Shakespeare do exist and are published on the Internet, most of the pages that I was able to locate are somewhat crude and hackneyed in content and design. For texts as thoroughly studied and argued as those by Shakespeare, I believe that textual research, not electronic research, is still the preferable method.